Weinstein's scandal of Hollywood wich gave a new born to the metoo mouvement gave also to the Italian Women's International Day the occasion to underline that the community is the strenght of each other. So we have passed from metoo to wetoogeter the new slogan of this year's manifestation organized by Nonunadimeno (Not one less) on 8th March. 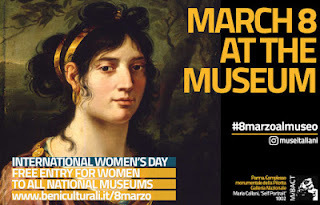 Even this year in fact this National manifestation would be the occasion to let understand the value of Italian Women in business but also in their nursing work so that a strike will be held right on 8th March in Italy. In Italy, in fact, Women who work are paid less than men for the same job and the domestic and care work that are for the most of their own are not considered at all. This appeal was collected by the best-known Trade Unions which have embraced the Women's strike of today and which involves buses, metro, trains, airplanes and local lines in all Italian cities so that the main ways of transport will be out of order for 24 hours. This decision was due to support the proclamation of the strike called by Nonunadimeno to reaffirm the essentiality of the contribution of Women in society and in economy and to contrast male violence against Women that has never been seriously legislated. 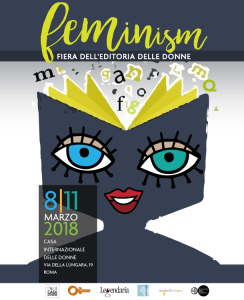 In conjunction with the demonstrations in squares and streets by Nonunadimeno many initiatives for the International Women's Day designed by associations, institutions, Women's organizations will take place. Book presentations, film screenings, debates, concerts, meetings and exhibitions throughout Italy. 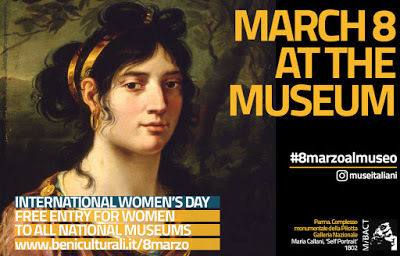 Public institutions also wanted to join the International Women's Day so that,for example, all State Museums are free for Women and this year for the first time ever there will be a Women's publishing Fair at the International Women's House , in Rome.